While your property did not come easy, it’s easy for it to depreciate in value. One way that can happen is with the dirt that plagues its surfaces. But that is all easy to get rid of if you give your property a good pressure wash. We are a team of dedicated technicians that have delivered pressure washing services Thornhill residents have relied on for over ten years. NICK’S Window Cleaning is your trusted partner in restoring your home’s sparkling beauty. That is all thanks to our industry grade equipment coupled with our trained professionals. Before you embark on DIY pressure washing, consider the fact that countless people injure themselves each year trying to handle pressure washing equipment. Consider the fact that your property can get permanent damage if the pressure applied is too high. The risk is too high. We have the requisite experience to give your home a top and down wash safely. With numerous jobs under our belt, there is no situation that can take us by surprise. We will get the job down no matter the size, no matter how stubborn the dirt might be. There are no exceptions. Although we offer power washing services Thornhill property owners find exceptional, our rates still won’t break your bank. Our dedication is to seeing that you have a great experience in every respect, be it in the quality of our work, our customer service, and even our pricing. Buying your own pressure washing equipment is not the smartest thing to do. With no experience with the industry, you risk buying a mediocre tool and end up wasting your money. A hired machine might also leave you with a huge bill to pay, since you will probably take ages trying to clean your property. Why go through all that hassle when you could simply get the pros on board and get the job done fast and affordably? To provide pressure cleaning services Thornhill residents can use with peace of mind, NICK’S Window Cleaning comes with full liability insurance and WSIB coverage. We uphold the safest industry practices that will ensure your home comes out clean and unscathed. Give us a call for a hassle-free clean. Why Shouldn’t You Do Your Own Pressure Washing? Giving your home a regular pressure wash goes a long way in upholding its visual appeal. Pollutants and contaminants such as moss, algae, soot, grease, and grime not only rob your property of its aesthetics but also damage it slowly but surely. Although you won’t have to break your bank to get a professional pressure washing service, it will definitely be priceless. But it looks easy, doesn’t it? All you have to do is get a pressure washer, fire it up, and away goes the dirt. So why hire a pro? That’s because the reality is far from such a basic picture. Giving your home a safe and thorough top and down wash is no easy task if you lack experience. 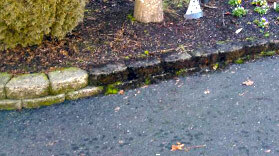 Here are 3 reasons to steer clear of doing your own pressure washing. You can damage your property: In the wrong hands, a pressure washer can be a weapon of serious destruction. While materials such as concrete might seem invincible, the brutal power of an untamed pressure washer can still deal it some damage. Roofs are even more vulnerable. You can shorten the lifespan significantly by applying the wrong pressure washing technique. Hiring qualified people with countless jobs under their belt means you can rest assured that your property will be cleaned thoroughly without the risk of irreversible damage. You have no insurance: Your insurance policy probably does not honour damages that you bring upon your property by your own doing. 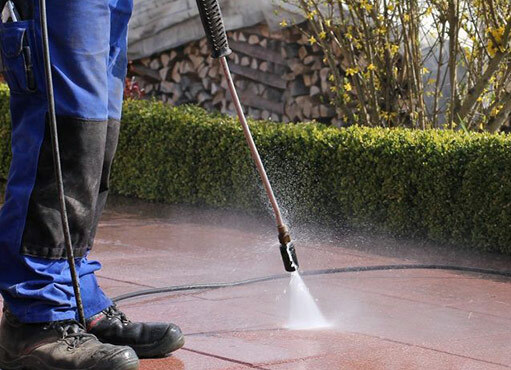 Looking at how destructive pressure washing can be when in the wrong hands, you would be doing yourself a favour by finding your way to a professional. Apart from the extensive experience that guarantees safe cleaning, they also come bonded and insured. You and your property will be in safe, expert hands. You might end up wasting time: you might think the job is easy until you actually get to doing it. For someone without experience, pressure washing on a DIY Saturday could easily turn into an everlasting nightmare. There is no guarantee that your time investment will be fruitful. You’ll probably do an incomplete job, waste money renting the equipment, and probably damage your property. For pros that live and breathe power washing, your job will be done in a short time. But you can bet, it won’t be sloppy. Instead of putting your property at risk and wasting your money and time, why not give the pros a call and see what they can do for you?